Persons applying for BVI visas must also adhere to this requirement as their passports must have a validity of six months or more in order for a visa to be granted. 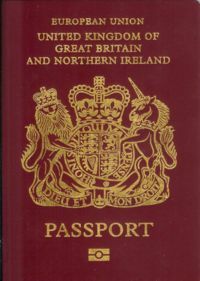 According to the Civil Registry & Passport Office, individuals holding British or British Overseas Territory (Virgin Islands) passports can apply to renew their passports up to nine months before the expiration date. Persons are encouraged to take advantage of any advance passport renewal service which is available for use to avoid any inconveniences. Failure to do so may result in difficulties when entering any country, both regionally and internationally. For more information, persons may visit the Civil Registry & Passport Office located in the Burhym Building on deCastro Street or at the ground floor of the Central Administration Complex. Alternatively, persons may telephone their offices at (284) 468-3035 or (284) 468-3442. The Civil Registry and Passport Office was established in 2005, and creates and manages the civil records of residents in the Virgin Islands and oversees the administration process for passports and nationality matters for the Territory.